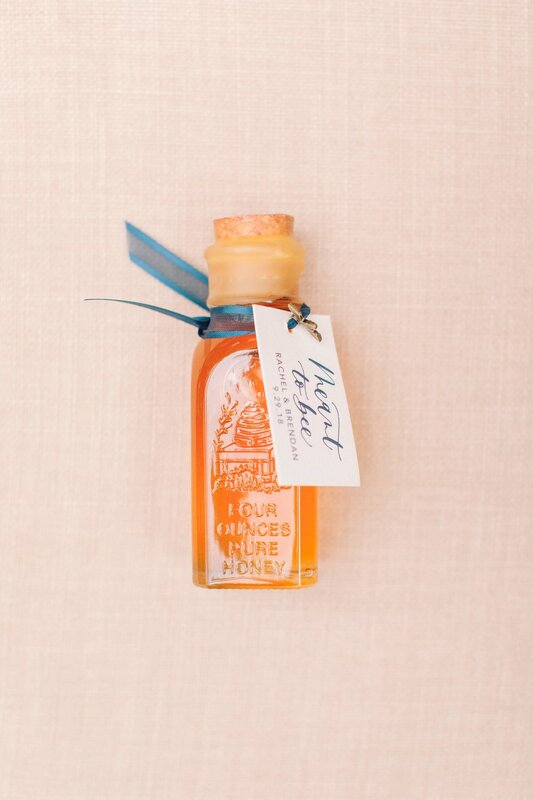 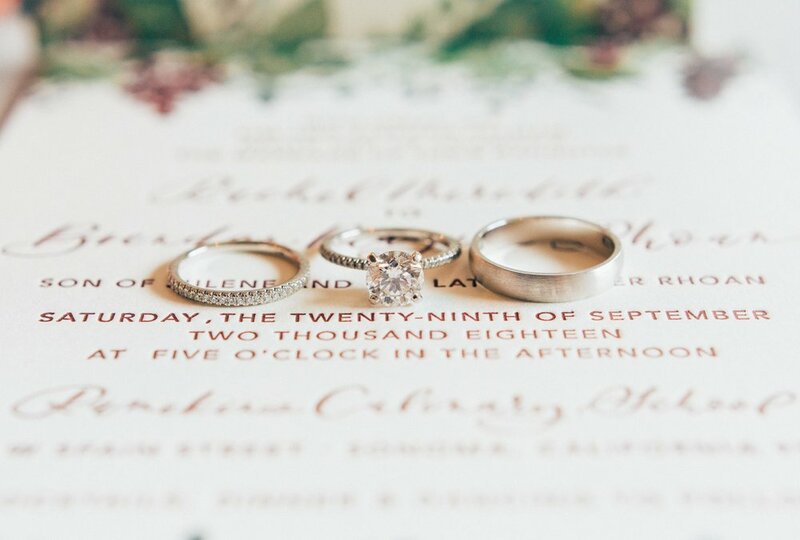 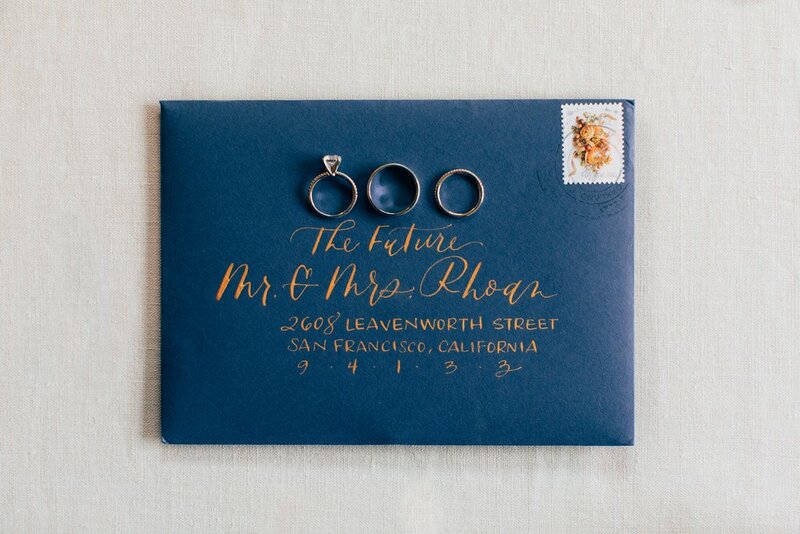 Rachel and Brendan’s wedding was all about autumn in wine country. 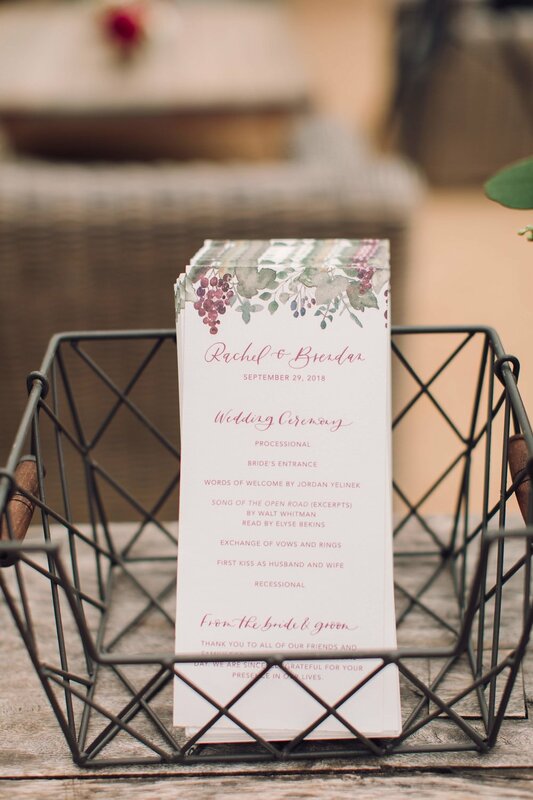 We featured watercolor grape vines and leaves, all with the classic California elegance that the area is known for. 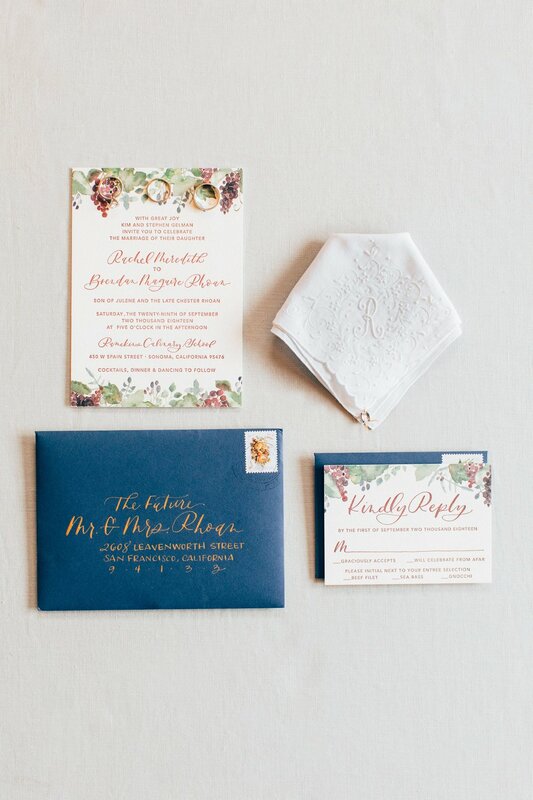 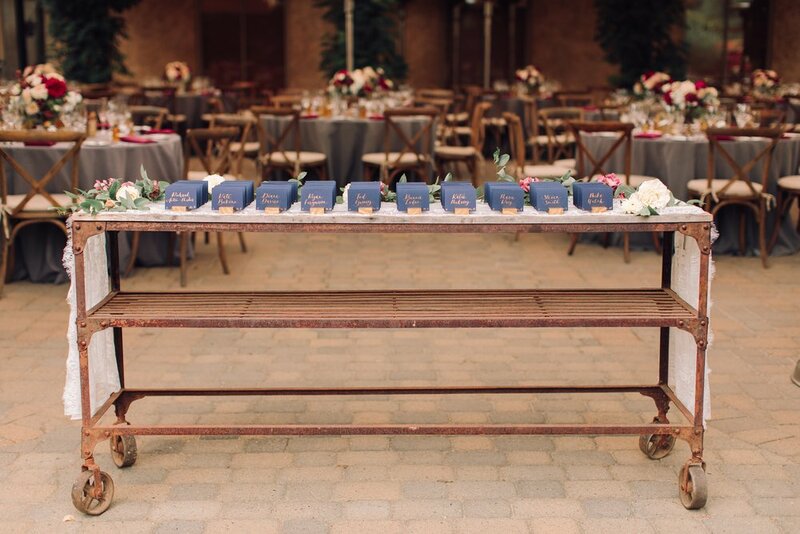 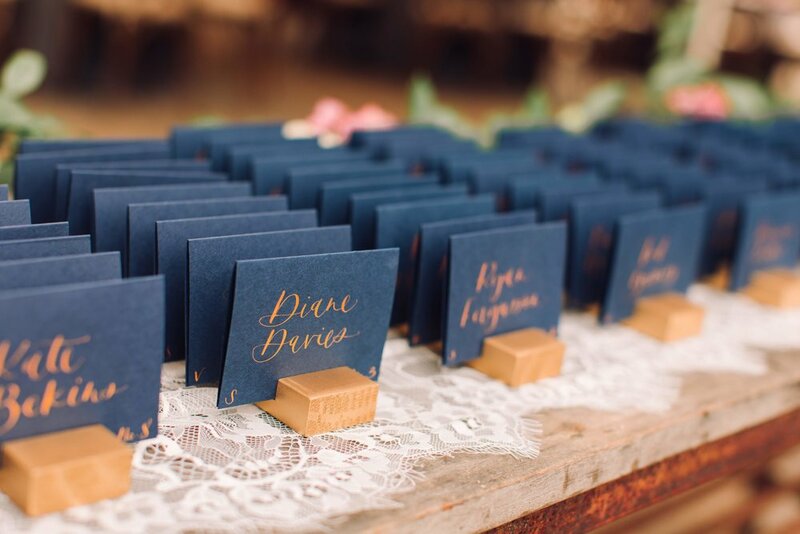 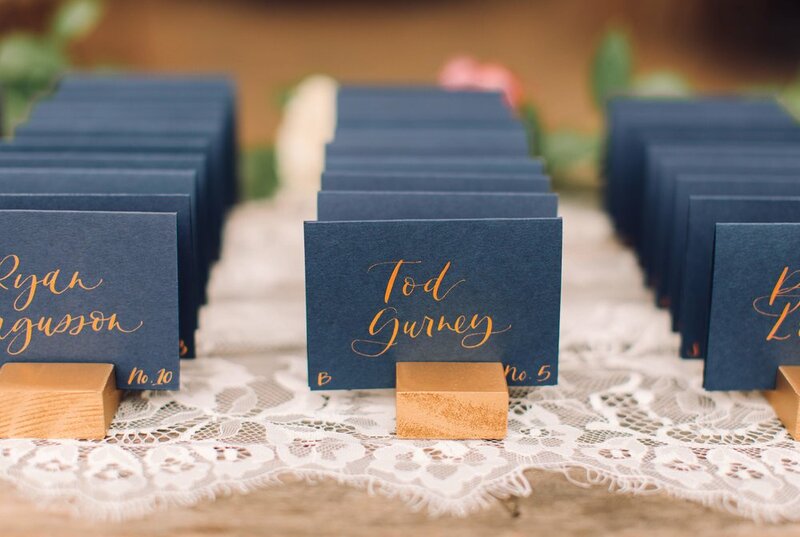 We used gorgeous navy, burgundy and gold accents throughout the invitations and day-of elements.